In the past, AI has required nuanced expertise in computer programming. With SearchExpress, this barrier is now eliminated. 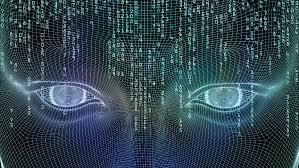 Our AI software is so easy to use it makes AI accessible to all and can be configured in just a few hours. By combining content management with AI, SearchExpress allows you to classify and organize content and improve productivity of people and equipment. You can automatically route (workflow) documents and photos to appropriate personnel based on AI determined content. For invoices SearchExpress uses Google machine learning AI to train itself to automatically recognize different vendors and to automatically extract the data on the invoices and pass the data to your ERP system. 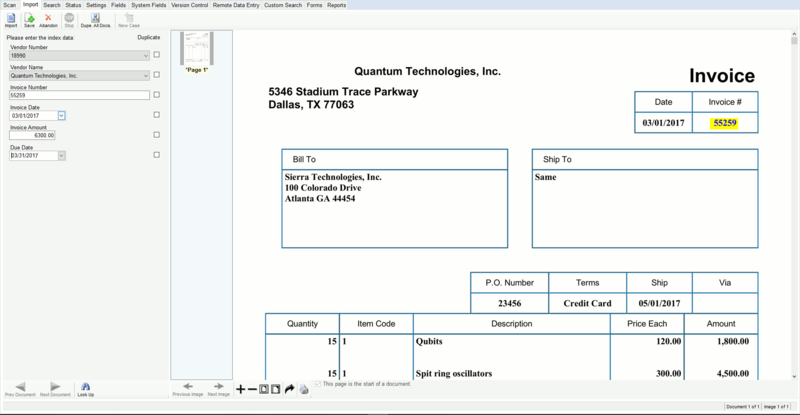 These can be emailed invoices or scanned invoices, as shown below. This automatic form recognition can be used for any type of form, such as scanned or emailed medical forms and HR forms. The form data can be extracted and the data passed to your EMR or HR system. You can search the documents by this data and use this data to route the documents in a workflow. AI can also be used for signature verification. This includes handwritten signatures, for example, on a proof of delivery document. This also includes electronic signatures signed on a smartphone or tablet. It does not matter how messy the signature is. The market for AI is driven by the desire to save time and reduce costs, as well as by the need to make better and quicker decisions. SearchExpress AI can be customized for your business to perform actions outside of it's pre-trained usages, such as analyzing recorded audio of your equipment for preventive maintenance. SearchExpress AI can be customized to compare an image or video of each new part made to the saved image of a correctly manufactured part, to inspect for damaged parts or out-of-spec parts. Use AI with AR to assist maintenance personnel. Use Natural Language Processing (NLP) AI to extract data from existing PDF and Word files such as the steps a technician needs to use to service or repair a robot or pump. This lets the technician service the equipment faster and avoid mistakes. For Image PDF files, SearchExpress can OCR the images, to make text that can then be used by NLP AI. These maintenance steps could be displayed to the technician using an Augmented Reality (AR) Goggle or a tablet computer.